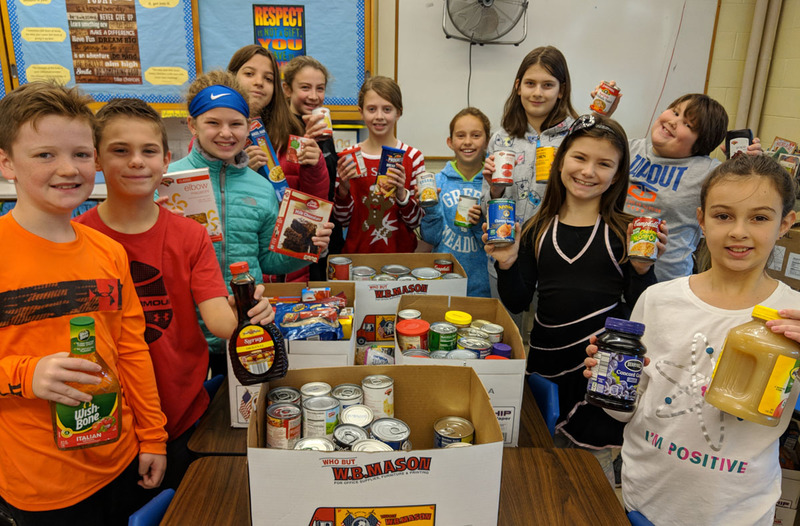 Green Meadow Student Council members collected more than 500 non-perishable food items for the CoNSERNS-U Food Pantry. The Green Meadow Student Council organized a food drive recently to replenish the CoNSERNS-U Food Pantry. Thanks to the generosity of Green Meadow families and staff, more than 500 non-perishable food items were collected. Thank you to all who donated, and to the Student Council members and their advisors, teachers John Flanagan and Stephanie Luce, for coordinating this effort!